Having had my Amiga 1200 and hard drive setup these past few weeks i’ve been enjoying a whole host of classic gaming thanks to the magic and convenience of whdload. Sure it’s nice to stick in a floppy disk occasionally just to hear the familiar clicking and wining soundtrack but running them directly from hard drive it so much nicer. 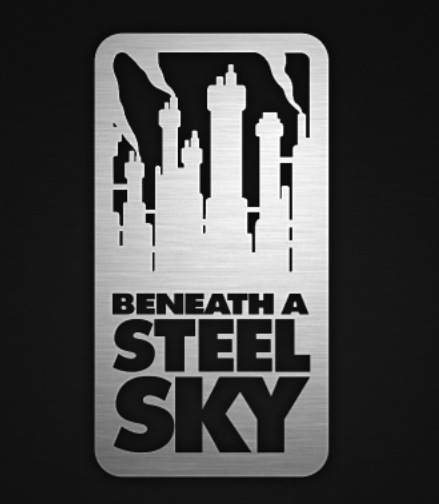 Just the other day i was going through my old floppy disk boxes and stumbled across – Beneath a Steel Sky……all fifteen disks……gulp…floppy disk swapping madness 🙂 Actually, i seem to recall that the Amiga version of BASK had a native HD installer – Something i relished back in the day, having decided to installed a small 2.5″ drive after the horror of disk swapping shenanigans with Indiana Jone: Fate of Atlantis. These past few days i’ve been having a ton of fun delving deeper into another side of Amiga gaming history. This time, i’ve swapping mainstream productions in favour of the bedroom coders and the small mail order outfits that brought us the vast libraries of Public Domain, Freeware and Shareware software. Here you’ll find a huge wealth of information regarding PD software released by many of the top groups as well as reviews, lists, recommendations and download links to many titles including many that have screenshots and information to help you sift through the staggering amount of gaming content. You’ll also find the famous Assassin disk compilations here too – a group that many of you will no doubt know from back in the day of Amiga gaming. I used to see lists of Assassin and 17-bit software titles listed in magazines like Amiga Power and Amiga Format and for only a pound (or cheaper by the dozen) you could get the latest tech demo, electronic fanzine, arcade clone or an original great (and not so great) game. Being a fan of classic arcade games, i’m spoilt for choice here and i’ve found all manner of clones of Asteroids, Space Invaders, Galaxians, Missile Command, Centipede, Defender, Joust and Robotron. Some of them stick to the original concept like glue, but others include new features or enhancements that either break or make the game. The fun is trying them out. Classic computer remakes and updates are very popular too so if you fancy a more colourful version of Chucky Egg or pimped up Arkanoid or simply want to play a straight port of Head over Heals on your Amiga, you can bet that it’s here…..you just need to find then! One such game I stumbled across,and have been really enjoying, is a remake of a game i used to play (and still do) on my Commodore Plus/4, it a game called P.O.D. Bags of fun and well worth seeking out. You’ll see a quick look at the game at the 28 sec mark in the video below which showcases a selection of the vast Amiga PD gaming library. If you’re without an Amiga, that’s no problem either as most of the downloads found at AmigaPD can be used with a suitable Amiga emulator. I highly recommend checking out the CD32 collection. AmigaPD is also a supporter of Mencap, so if you download, please donate if you can. This entry was posted in Amiga and tagged Amiga, commodore, pd software, retro gaming. Bookmark the permalink. Great stuff. I just the other day grabbed Gridrunner for the Spectrum, which bears more than a passing resemblance to POD. You’ve made me nostalgic for the Plus/4 I had very briefly years ago. Many thanks for your comments. I’m a huge fan of Llamasoft games pretty much any system. I hear that Jeff Minter will again be appearing this weekend at Play:Expo so it’ll be nice to say hello to him again. Ah, the good ‘ol Plus/4, such a great little system and one i’ve always had a soft spot for. Gotta love those ultra cool arrow cursor keys! AmigaPD is a great site. 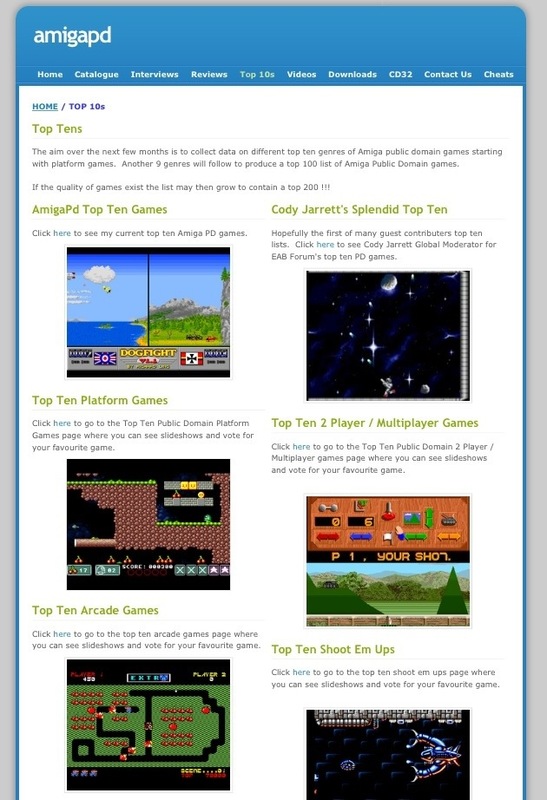 For me the Amiga is number one when it comes to public domain software.. so much great stuff out there. Aminet is an awesome resource for this. 🙂 Recently got hold of a ton of PD-disks from various small PD-outfits back in the days, with original labels etc. I don’t think every disk is Online, so I want to make some ADF’s of them. It sure is mate and with Aminet, there’s so much stuff around it can get a little overwhelming. Definitely some good times ahead on my Amiga. Also great to hear that you’re preserving disks too. Too man!